September is National Disaster Preparedness Month. As pet sitters, it’s very important that we have specific plans in place for the pets we care for no matter the time of year. Arizona is host to many potential problems from intense dust storms to seasonal flooding. By having a universal plan in place we can handle any man-made or environmental threats. In Arizona, we have the potential for both man-made and environmental threats. While we can’t be prepared for every one of these possibilities, we can have the best in plan in place that apply across the board. Flooding: Flooding can occur during any season. 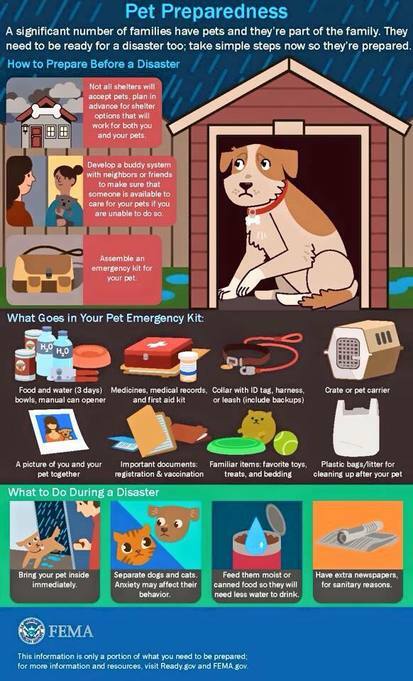 As pet sitters, we are mindful of this and take steps to protect pets and the client’s home. Dust Storms: Dust storms can occur any time of year and are growing in severity and frequency. Keeping pets indoors during a dust storm will help alleviate potential respiratory issues. Severe Thunderstorms: No pet likes a thunderstorm. We strive to ensure that pets are in a safe designated room. Sometimes turning on a radio or TV can help to drown out unwanted noise. Per a client’s request, we will administer a natural remedy to an anxious pet or a prescribed medication from their Veterinarian. Power Outage: Extreme heat is the biggest threat in our state so air conditioning is a must for those of us that live in Arizona. As pet sitters, we maintain a heightened sense of awareness as to the temperature inside a client’s home. If we detect a problem we will notify a client immediately and implement our back up plan and move pets to a different location. Our pet sitters are the best in the business and we have a long history proving this fact. We train our pet sitters to handle many different types of situations. 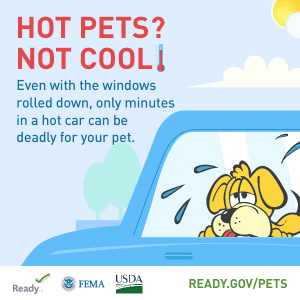 Heat exhaustion is a year-round threat for pets and people. Our pet sitters are trained to identify key signs of heat stress. We also train our sitters what to do in case of accidental poisoning, snake bites, scorpion stings, toad poisoning, and other common threats in the Phoenix valley. Since we are pet sitters rather than a boarding facility, the location and potential threat dictate where we take your pets in the event of evacuation. For this reason, we always ask our clients to identify a local contact(s) in the event of an emergency. We stay up-to-date on pet-friendly shelters in the region, boarding facilities and Veterinarian clinics who will accept pets in an emergency we are pet sitters rather than a boarding facility, the location and potential threat dictate where we take your pets in the event of evacuation. Our priority is your pet! Our pet-sitters are animal lovers by nature and nearly all carry a portable disaster kit. This helps them stay prepared for when they locate an abandoned animal on the side of the road or if they run across a situation that requires rescue. 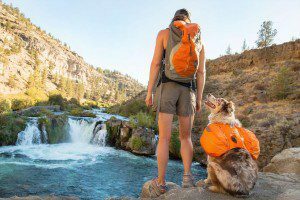 3 days of water: the recommendation is 1/1/1 (meaning 1 oz of water per pound of bodyweight, per pet, per day) For example, If you have 2 dogs that are 15 lbs each, you should have 90 ozs (or about ½ gallon) in your go-bag. Note: Larger dogs can carry their own go-bag! 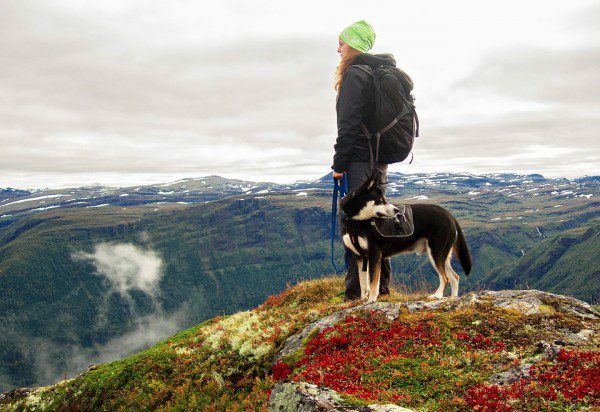 These dog packs are ideal for storing a 3-day supply. Recent photos of each pet with name and age written on the back. It is best if you have your family included in these photos to easily prove ownership should something happen. Copies of important veterinary and vaccination records. At Pampered Pets & Plants, Inc. our motto is, “They’re not just pets….they’re family” so they need to be ready for a disaster too. We wish you a happy and safe (and hopefully cooler) September. Contact us anytime to book your next pet-sitting service. 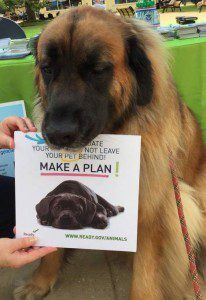 For more information on disaster preparedness and your pet, visit Ready.gov.